The Pound Sterling to South African Rand (GBP/ZAR) exchange rate’s performance has been mixed this week. Pound (GBP) movement is limp amid persistent Brexit fears, while the South African Rand (ZAR) has been driven by shifts in global risk-sentiment. Since opening this week at the level of 18.75, GBP/ZAR hasn’t seen much in the way of significant movement. GBP/ZAR has fluctuated between lows of 18.53 and highs of 18.86. GBP/ZAR currently trends near the level of 18.69 as investors buy the pair back from the weekly lows it hit overnight. There is no fresh support in Sterling today, but investors opted to buy the embattled currency back slightly following its Tuesday plunge. Sterling was able to recover against the South African Rand more easily, as the Rand was weakened by low market demand for riskier emerging market currencies. For now, investors anticipate major Brexit developments and may even brush over Thursday’s Bank of England (BoE) policy decision so long as Brexit fear remains in focus. The Pound fell against most major currencies, including the South African Rand, on Tuesday – and the reason for the latest round of losses was unsurprising. Investors have remained hesitant to buy the Pound amid fears that the UK and EU are running out of time to avoid a worst-case scenario ‘no-deal Brexit’. Fears about such a Brexit seeming possible have been the primary cause of Pound selloffs in recent weeks. Tuesday also saw the publication of a new report on the possible impact of Brexit from S&P Global Ratings. Sterling’s recovery today was little more than the currency seeing a rebound from those lows, as there have been no notable optimistic developments that would lead to a sustained boost in Pound demand. A poor month for global stock markets has left risky emerging market currencies like the South African Rand mixed. Investors have been hesitant to buy the Rand much in recent sessions due to the broad stock market weakness. Equity markets have seen one of their worst months in a decade, since the 2008 financial crisis. A modest stock market recovery rally since Tuesday has done little to change that. The recovery rally did briefly help the South African Rand to rebound from its lows, but the currency remained weak on Wednesday as it slipped against Sterling again. A disappointing South African unemployment rate from Q3, published on Tuesday, likely weighed further on market appetite for the Rand. Unemployment unexpectedly worsened to 27.5%. 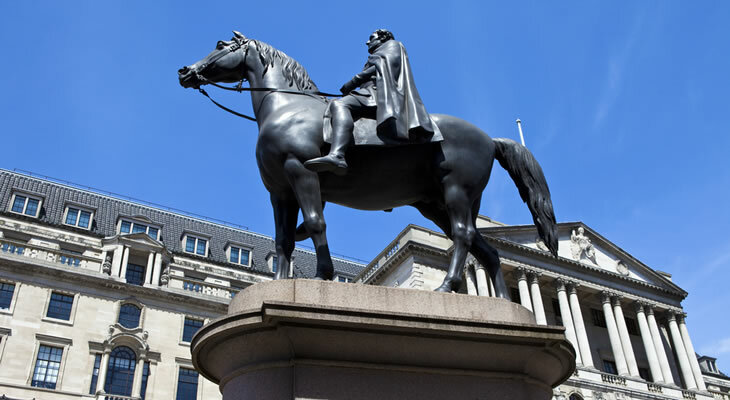 The Bank of England (BoE) will hold its November monetary policy decision tomorrow, but the bank is unlikely to deliver much in the way of fresh surprises or certainties. Generally, the Bank of England has indicated it is just in the dark about Brexit negotiation progress as anyone else. Without any significant clarity on whether the UK and EU are headed for a Brexit deal or a worst-case scenario ‘no-deal Brexit’, there is little the bank can do to distract markets from Brexit jitters. Even if the bank predicts that it could hike UK interest rates in the event a deal is made, investors may be more likely to sell Sterling on the possibility that rates could be cut instead in the event of ‘no-deal’. As Sterling strength is likely to remain limited until there is some kind of major Brexit development, the South African Rand outlook is more likely to be influenced by South African data and risk-sentiment. Analysts believe that global markets may be starting to recover following the October plunge. This may make investors less hesitant to buy riskier currencies. The Pound to South African Rand (GBP/ZAR) exchange rate may also be influenced by South African manufacturing data on Thursday, or South African consumer confidence stats on Friday. Previous ArticlePound Sterling to Swiss Franc Forecast: Will Lower Consumer Confidence Trigger GBP/CHF Exchange Rate Losses?